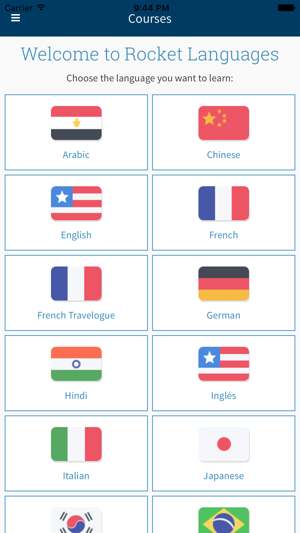 Learn Spanish, French, German, Italian, Japanese, Mandarin (and more) anytime and anywhere with Rocket Languages. 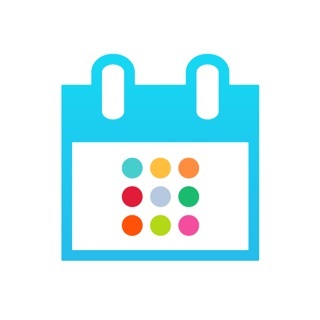 Our courses are designed to minimize your time to become conversational while keeping it fun! We use the key strategies that successful polyglots use to learn 5 or more languages. 1. Making the BEST USE of limited time: Rocket is designed so that you can learn at your own pace and in your own time. 3. REINFORCE what you learn so that it sticks forever: Our scientifically designed Testing algorithm re-displays words and phrases that you are weak on until they stick in your head like glue. 4. Practice SPEAKING and SOUNDING like a native: The Rocket system has several features that prompt you to speak out loud. A key plank to your success. 5. Maintain MOTIVATION and have fun while you learn: Rocket has been designed to include a whole range of activities and features that will keep you engaged, motivated, and on track. 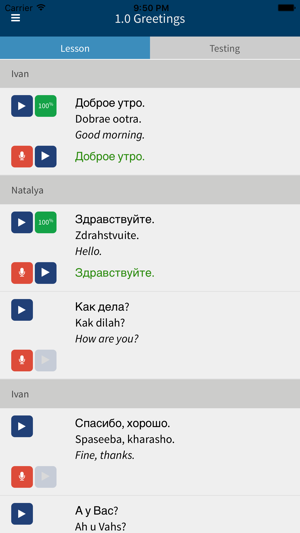 • You can learn Spanish, French, Italian, German, Japanese, Mandarin Chinese, Arabic (Egyptian), Russian, Portuguese (Brazilian), Hindi, and Korean. Purchased levels 1, 2, 3. Really like this product! The introductory video is all you need to get the ball rolling. You are comped a couple of modules for each of the 3 levels so you get hands on practice before you buy. Cool. You recite the lesson four times, with progressively less clues, for each of the roles. I started using the flash cards and like the way you can group them for review, especially the ones you keep missing. I like to go back after I have completed each lesson and solidify my knowledge of the new phrases. There are a few hiccups with the voice recognition, to be sure, but it's great practice that helps build confidence. 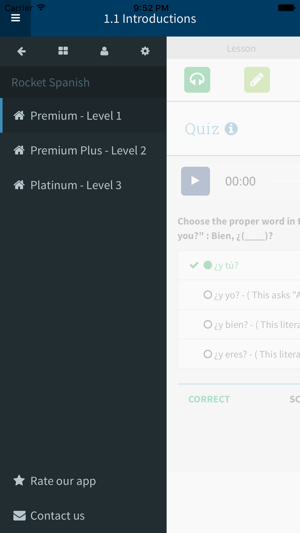 I have done over 10 languages with Pimsleur, but was really disappointed with their Spanish. I felt like it was too stylized; I hadn't heard anyone speak Spanish like that. I went through DuoLingo but wanted something more. For me Rocket is taking my Spanish to the next level. The most important aspect of a language program is whether or not it guides you towards learning a language. 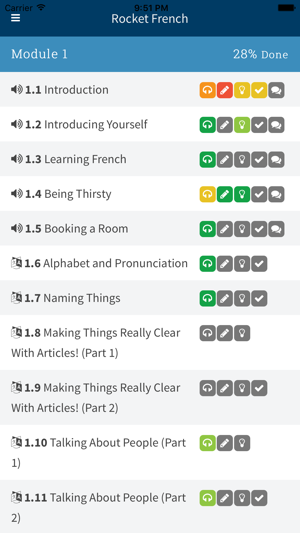 In perhaps 4-5 weeks of use, I feel Rocket Languages is accomplishing that goal. I like the lesson variety. They typically begin with 20ish minute audio exchanges, followed by lessons involving listen and repeat using speech recognition, listen and write, read and speak, etc. Combining hearing, seeing, speaking, and writing at least for me help to reinforce the learning process. By far the worst aspect of the app is the plethora of bugs. 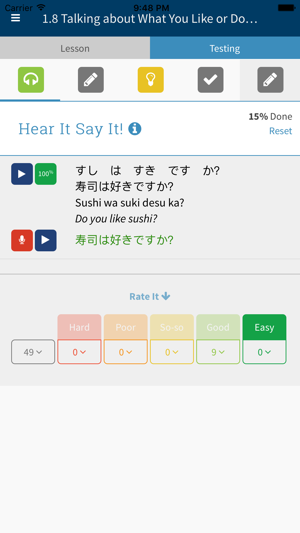 As mentioned in at least one other review, the speech recognition software often has difficulty understanding you and the problem worsens the longer you use the app for a given sitting. Often it reaches a point where the moment you press the microphone to speak you receive an immediate disclaimer that the app is sorry but it didn’t understand you, failing to provide any time whatsoever to actually attempt to speak. Deleting and reloading the app clears things up for a bit, but the problem always returns. It’s also not uncommon to see other bugs related to missing words, sentences, or translations as you work through a given lesson. I’m making progress leaning Spanish, but the app issues certainly have hindered my progress to a degree, and that’s disappointing. ...the app has a sound bug that is very annoying! If you play your class then go out of the app and come back to either continue playing the class you were in or play another class, there will be no sound. I constantly have to reboot my iphone (turn it completely off then on) then go back into the app in order for the sound to work. I also have had sound issues just playing different parts of a class. The sound will be barely audible, then suddenly it will be at a higher, normal range, then go back down. Pain in the you know what! All that being said, I like the courses very much! I would’ve given it 5 stars if it wasn’t for the annoying sound issue!